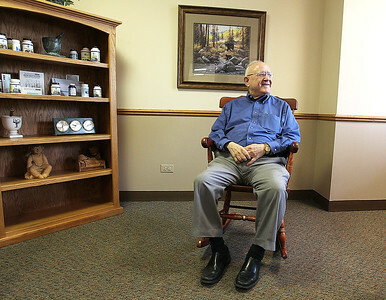 H. Rick Bamman - hbamman@shawmedia.com Retiring after serving 32 years on Community High School District 155’s board Dr. Gary Oberg relaxes at his practice in the rocking chair given as a gift from the district. Oberg has served on the board for eight terms and is one of the longest serving board members in the state. H. Rick Bamman - hbamman@shawmedia.com Dr. Gary Oberg is retiring after serving 32 years on Community High School District 155’s board. 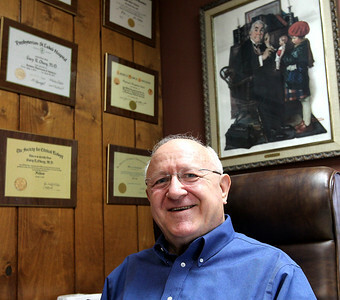 Dr. Oberg has served on the board for eight terms and is one of the longest serving board members in the state.